It was like history repeating itself when Claire’s endometriosis meant that she struggled to get pregnant. Her mother had similar problems 40 years earlier, but unlike Claire she didn’t have the option of using IVF. 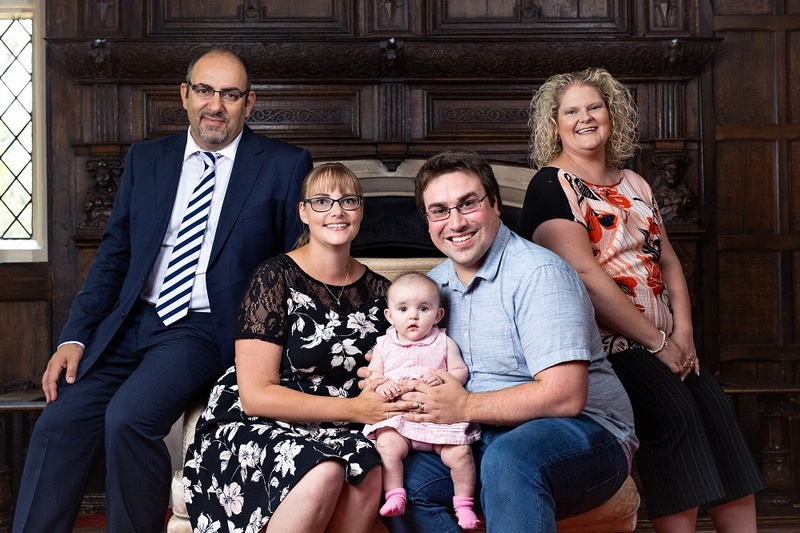 Claire, her partner David and baby Mia had the chance to meet the first ‘test-tube’ baby Louise Brown at Bourn Hall. Louise’s birthday gave couples the world over the chance of a new treatment for infertility. 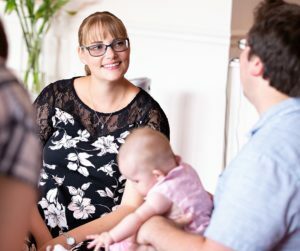 Louise, was at Bourn Hall to celebrate 40 years of IVF, she said: “Every time I meet a family that have a child through IVF I appreciate more and more how important my birth was. The work of the pioneers and the courage of my parents Lesley and John Brown is still giving families hope and joy today. Claire and David tried to get pregnant for five years before they sought help. Claire says: “I was in my late twenties when we first started trying for a family and we didn’t really imagine that we would have any issues. My younger sister already had two children and she hadn’t had any problems at all getting pregnant. Endometriosis, where the endometrial tissue grows outside the uterus, is an important factor in infertility as it can cause tubal blockages and ovulation problems. It affects around one in ten women in the UK and it is estimated that up to 50 per cent of infertile women have it. Endometriosis wouldn’t have been known about when gynaecologist Patrick Steptoe, research scientist Robert Edwards and nurse Jean Purdy first started to collaborate. It was their work at Bourn Hall, just outside of Cambridge, that created interest in reproductive medicine and transformed IVF from an experimental technique into a robust medical therapy. Of the world’s first 2,000 IVF babies, 1,000 were conceived at Bourn Hall. 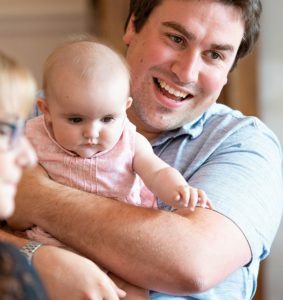 The couple were dealt an initial blow when their first cycle did not produce any viable embryos, but second time around they had ICSI, which involved injecting a sperm directly into an egg. The couple were delighted when the digital pregnancy test confirmed that Claire was pregnant and nine months later, in February 2018, she gave birth to daughter Mia. Supporting Claire and David along the way was Claire’s mum, who knew first-hand how it feels to badly want a baby and not be able to get pregnant. “David couldn’t be at the embryo transfer so my mum was there instead, which was a bit weird!” laughs Claire. Claire’s mum is now a devoted grandma thanks to IVF. Minor surgery may help in some cases. If you would like advice do get in contact with us.